Smear Shows mature lymphocytes and germinal centre cells. 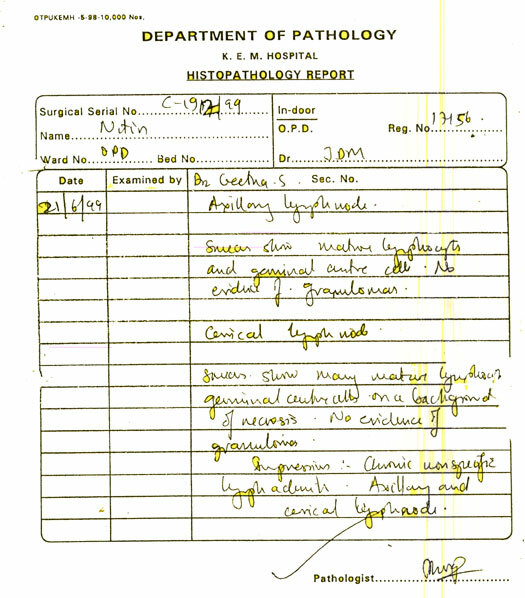 Smear shows many mature lymphocytes germinal centre cells on a background of necrosis. Chronic nonspecific lymphadenitis of axillary and cervical lymphnode. Comment : As per the result of Haemolotogy Report and Clinically too patient is completely under control till today(10/04/2003).